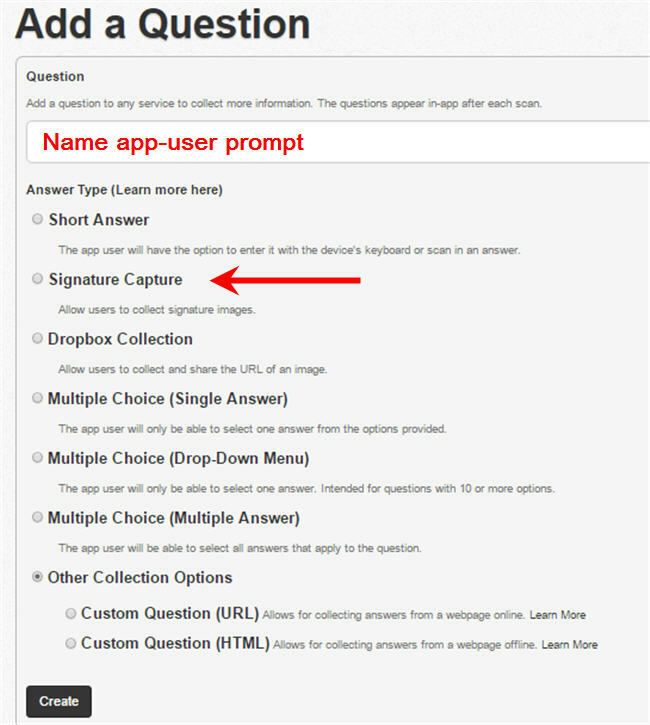 You can enable your app users to capture signatures after a scan. Each signature will become part of the scan record. It’s very simple to set up. It’s now one of the standard options when adding a Question (prompt) either on the Questions page of the website or when creating/editing your services. Note: The image is encoded and stored in base64 format. It is not automatically viewable in Excel, Sheets, etc. but it is on the codeREADr.com ‘Scans’ page and in your shared CSV Download Link’s web portal. Developers will generate the image from the base64 string in their programs. If you want to view an image downloaded to Excel, copy and paste the string into an online decoder like the one offered by Code Beautify.